If we get a mild and wet autumn undoubtedly our pastures will look rich and green but this can have dire consequences for the overweight equine. Weight gain and excess body condition can have serious health and welfare consequences so now is the time to work hard at helping to ensure optimum body condition is maintained. Regular exercise and the correct feeding regime can help to ensure that your horse or pony remains fit and healthy. 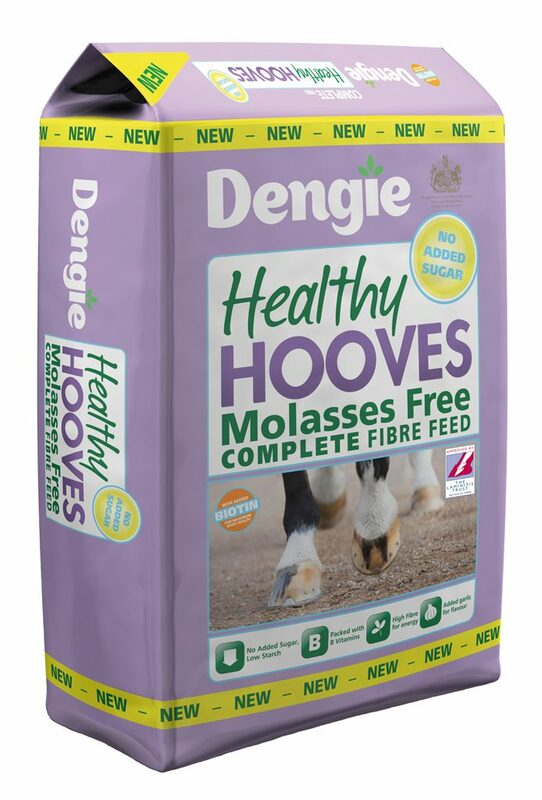 Dengie Healthy Hooves Molasses Free has been introduced to help equines that are overweight. It is a complete fibre feed that is low in calories and starch that contains no added sugar and is designed to provide a balanced diet whilst supporting a normal, healthy metabolism. 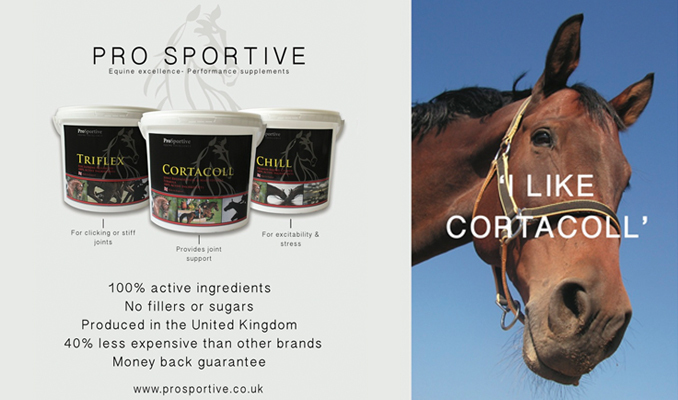 Approved by the Laminitis Trust it can be used as a “calorie controlled diet” for horses and ponies that are prone to laminitis, Equine Metabolic Syndrome or Cushing’s Disease or those that are in light work or at rest. The feed is based on Dengie’s alfalfa technology which gives slow release energy from low-glycaemic alfalfa fibres. Alfalfa also offers naturally occurring, high levels of essential nutrients such as calcium and additional minerals including zinc, manganese and copper are also included. B vitamins, including Biotin are added to help with building healthy hooves and palatability is enhanced with real garlic. So take advantage of the £2 off this September on every bag of Healthy Hooves Molasses Free to get your horse or pony in shape, helping you to manage any issues that the autumn burst of grass can cause. Dengie advocate increased exercise and a grazing muzzle for equines that are prone to being overweight and recommend advice from your vet if you think your horse could have EMS. Feed Dengie Healthy Hooves Molasses Free if your horse or pony is prone to weight related conditions including laminitis, EMS or Cushings, has poor hoof condition or requires a low sugar diet.